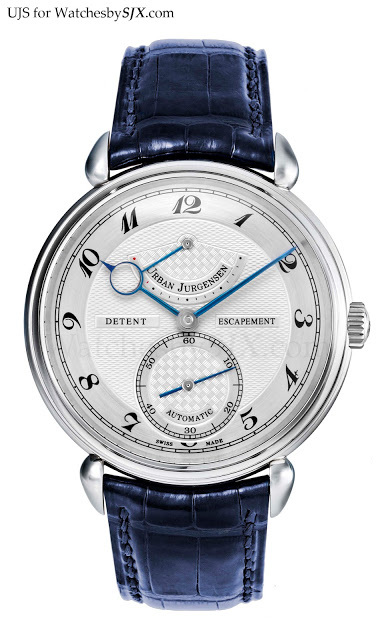 ﻿﻿Last year Urban Jürgensen & Sønner unveiled the P8 chronometer containing the brand’s first in-house movement, the manual wind UJS-08 with detent escapement, designed by Kari Voutilainen and Jean-Francois Mojon. This year the automatic version of the Ref. 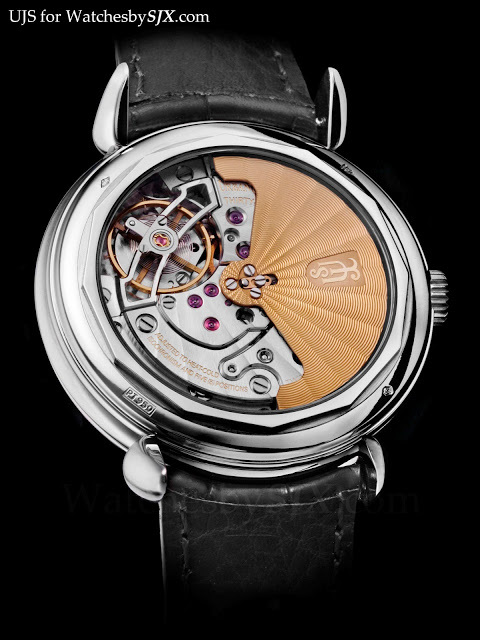 11 chronometer with the P8 movement will be launched. According to UJS, this is the first of several calibres based on the P8 detent movement. Having seen last year’s hand-wind P8 in the metal, I was somewhat disappointed. 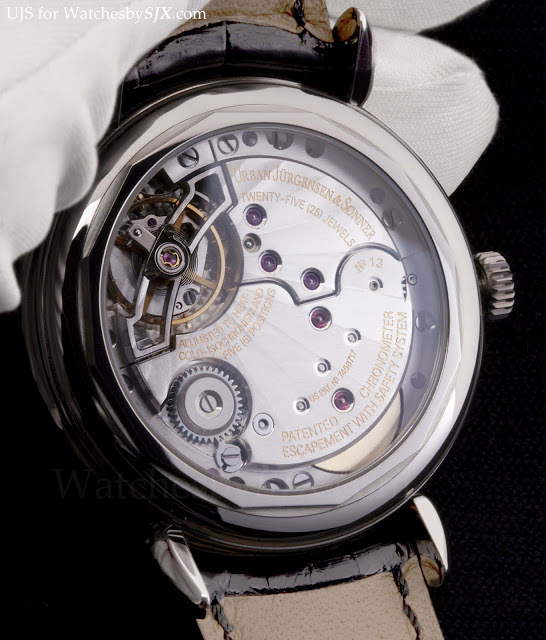 While it is a very high quality watch with a novel calibre, the finishing of the dial and hands is not as fine as that of the earlier UJS watches made by the late Peter Baumberger. The incredibly fine guilloche dials and Breguet hands of those 1990s and early 2000s watches were really something.